Dutch pilots’ union VNV has announced it will join Ryanair cabin crew from 5 different countries, including the Netherlands, in striking for 24 hours on Friday 28 September. Ryanair will cancel 190 flights 30,000 customers likely to be affected. They will join some pilots and crew from Spain, Italy, Portugal and Belgium, who confirmed the 24-hour stoppage would go ahead earlier this month after a long battle with the low-cost airline over the application of various national labour laws instead of Irish legislation. 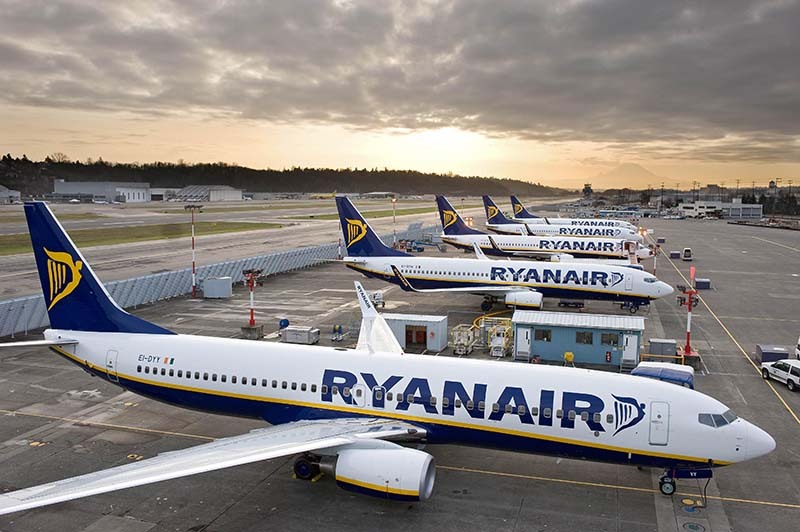 Eight unions in five countries have advised their members who work for Ryanair to strike: Italy’s Uiltrasporti and FILT-CGIL, Portugal’s SNPVAC, Belgium’s CNE/LBC, Spain’s SITCPLA and USO, and VNV and FVN in the Netherlands. Members of these unions who are Ryanair pilots and crew in Italy and the Netherlands and cabin crew in Belgium, Spain and Portugal will join the walkout.